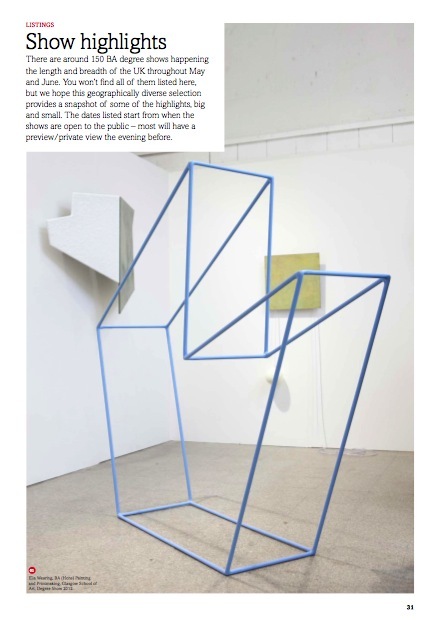 So writes the curator and writer Tom Morton in this year’s 44-page a-n Degree Shows Guide. 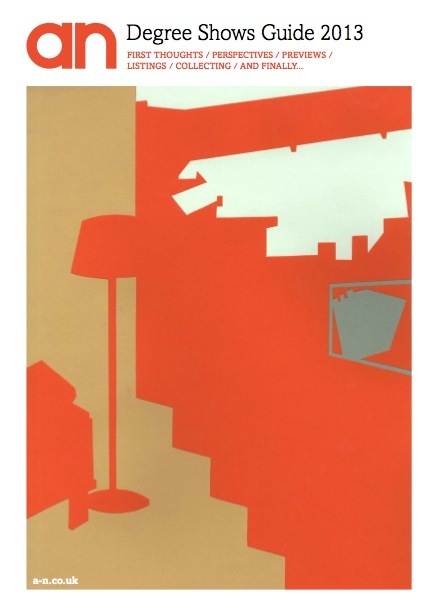 His essay, Six notes on the degree show, opens the publication, providing a framework for looking – and some incisive thoughts on what makes every show a unique snapshot of a particular moment in time. There are notes of caution among the enthusiasm, too. Polly Staple, director, Chisenhale Gallery, London, debunks the myth about collectors scooping up a student’s work and launching them on a glittering career. “It’s just a complete nonsense, a fantasy,” she says. 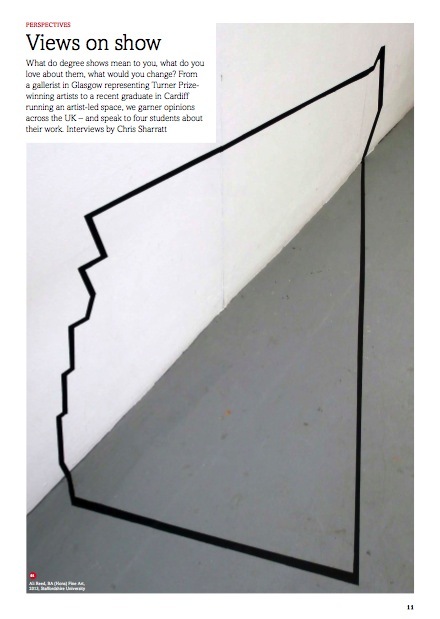 a-n’s Degree Shows Guide 2013 is available to view online as a flip book or as a downloadable pdf.